Restaurant for Two: a feature where I bring a friend to a restaurant and we write a review together. Thanks to my gal pal, Lindsay, for eating along with me at Luella’s Southern Kitchen! After my trip to New Orleans last March, I’ve been hooked on Southern cooking. So when the chance to try Luella’s Southern Kitchen crossed my inbox, I was in! The menu changes for the seasons, but sticks to the traditional and creative interpretations of Southern favorites from Georgia, Louisiana, Mississippi, and the Carolinas – think mac and cheese, catfish, and blackberry pie. With an impressive resume under his belt, chef/owner Darnell Reed uses locally sourced ingredients to make classic fare with flare. 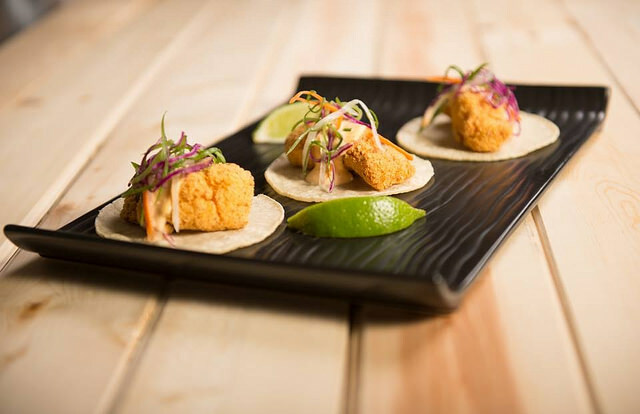 Luella’s menu is made for sharing – like Southern U.S. tapas! Choose from appetizers, small plates, sandwiches, sides, and desserts to make a meal that the whole family or a group of your friends can all try. Bonus: Luella’s Southern Kitchen is BYOB; who doesn’t love to drink a glass of cheap wine with their chicken and waffles? Our meal started with the Chicken Gumbo. Reminiscent of red beans and rice with its lighter texture for the spring/summer season, I was a HUGE fan, especially of the andouille sausage. The spices were married fabulously into a perfect bowl of comfort food. It was hearty, rich, and filling. And I know I said that Luella’s food was meant to be shared, but I could’ve eaten this all by myself. 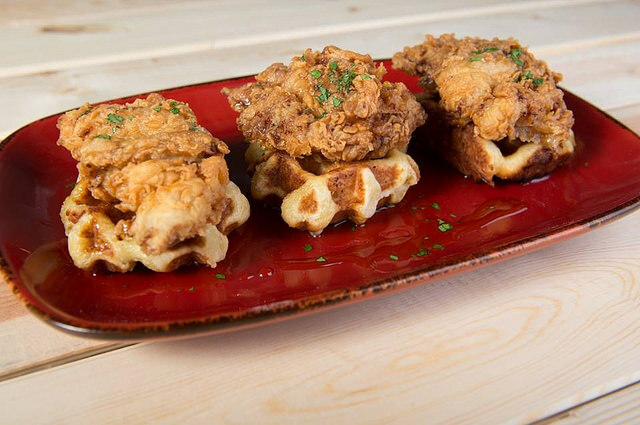 Another one of our favorites was the Bourbon Chicken and Waffles. The skin on the chicken was flawlessly crispy and the waffles made me want to come back for brunch (which they do on Saturdays and Sundays!). There was just the right amount of syrup coating the dish to make the sweet and salty combo spot-on (a la chocolate and peanut butter, or chocolate-covered pretzels). 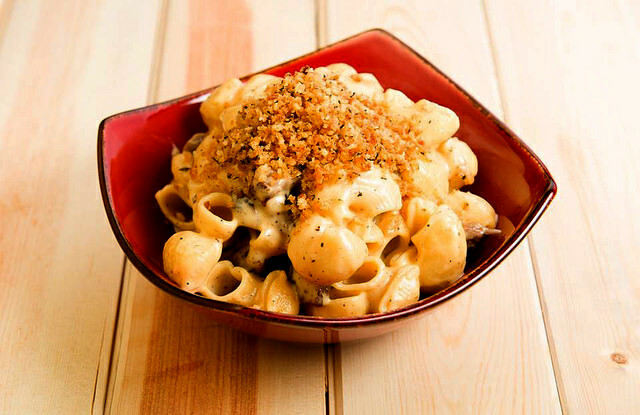 New for the spring was a dry-rubbed Braised Short Rib Mac and Cheese. Overall, my dinner mate and I weren’t blown away, but definitely kept sticking our forks back in to taste each ingredient. The brisket was cooked to perfection and made me wish there was a BBQ beef brisket sandwich on the menu for when I come back. My favorite expression in life is “save the best for last,” and at Luella’s Southern Kitchen you’re sure to do just that. We tried the blackberry hand pie with salted caramel ice cream and we fell in love. I live 45 minutes by public transport from Lincoln Square and I’d make the trek daily just to eat it. All in all it was sugary and sweet, but wasn’t too heavy. We could’ve gotten a bowl of the sugared blackberries and been in heaven. The crust was flaky and sweet and exquisitely complimented the fruit. The salted caramel ice cream was another piece we could’ve eaten on its own, though it added a nice texture contrast to the pie. Overall, we were happy with our experience at Luella’s Southern Kitchen. The service was fantastic – everyone was really friendly and continued to check on us despite there being no waiter service (you order at the counter and food is brought to you). The prices were reasonable and the atmosphere was cozy and laid-back. Thanks, Luella’s Southern Kitchen, for a great dinner – and get ready for us, because we’ll be back for more of that blackberry pie tomorrow…and this weekend…and next Tuesday.